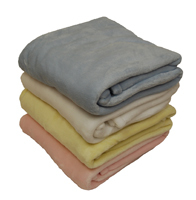 EMBROIDERED Micro-Plush Coral Fleece Throws 50 x 60 , 280 g/sq . 17.5 Lb/Doz. 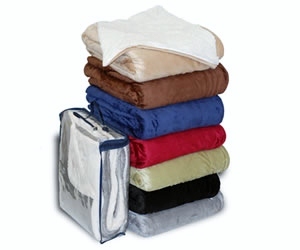 EMBROIDERED Over-Sized Micro Mink Sherpa Blankets 60"x 72"
EMBROIDERED Sweatshirt Throw Fleece Blanket 50x60, 50% Cotton / 50% Polyester 380 g/y 19 Lb/Dz. Pack 24 pcs in a case. Minimum 1 case per order.